For many people in rural regions of developing countries, poverty is a daily reality. In areas where walking is the only mode of transport, a Buffalo Bicycle offers the real and immediate benefit of reliable access to essential goods and services. WBR’s innovative model, combining philanthropic distributions with social enterprise sales, is the backbone on which they deliver greater efficiencies of scale, distribute more bicycles per donation and generate deeper impact where we work. Tourissimo partners with World Bicycle Relief for the Appenninica MTB project and supports their fundraising efforts at Campovelo - Napa. 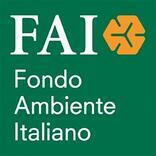 Since 1975, FAI - Fondo Ambiente Italiano, The National Trust for Italy, restores and takes care of special places in Italy so that present and future generations from all over the world may enjoy a priceless legacy. Tourissimo is a patron of FAI to help defend art, nature and culture and to preserve the roots of a beauty that will continue to inspire future generations. Tulime means ‘let’s cultivate’ in Swahili. The Italian NGO runs projects with local communities in Tanzania, Nepal and Uganda. Tulime is not about the "helping" - sometimes a rhetorical approach - but it rather focuses pragmatically on cooperation projects between volunteers and local villages in rural areas where basic needs, such as food provisions, heat, and medical care, present serious challenges. Through cooperation, both parties get to know each other better and gain a sense of shared destiny. Beppe was among a small group of people who started Tulime Baiskeli, a volunteerism project involving bike touring in Tanzania. 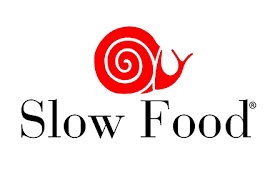 Slow Food is an organization that promotes local food and traditional cooking. It was founded by Carlo Petrini in Italy in 1986 and has since spread worldwide. Food should taste good and food production should be fair to farmers and respectful of traditions. From a grass roots organization, Slow Food became a philosophy and its Manifesto has been at the center of a food - a slow food - revolution. Among its projects, the Slow Food Presidia, coordinated by the Slow Food Foundation for Biodiversity, which organizes and funds projects that defend our world’s heritage of agricultural biodiversity and gastronomic traditions. Tourissimo, along with sharing Piedmontese roots with Slow Food, believes that food is culture and as such it needs to be preserved and protected for healthy future generations and better food, which is fair for everyone.